These 50 ohms per foot resistance wires are supplied with the coil side's special locking terminal and boot crimped to the wires. 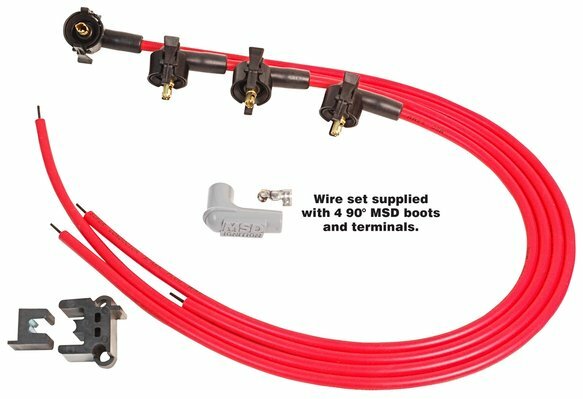 The spark plug side boots and terminals are supplied loose so the wires can be routed and crimped for each application. A special Mini-Stripper-Crimper tool is also supplied.